The Holiday season has started, and with it hot holiday appliance sales deals. 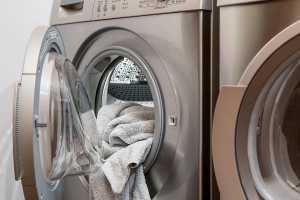 If you were considering to eventually replace your appliances – now it is a good time. As experienced appliance repair pros, we can only say that choosing the right appliances that will work well for your busy life is the key to their good service for many years to come. Appliances are designed with specific capacity in mind to minimize wear and tear and to reduce a possibility of malfunctions. Unlike when you move in the house when all the appliances are already installed – it is now when you buy new – you can actually invest in the appliances that not only look like you always wanted, but also will be the right fit for your family lifestyle. So, how do you keep your head cool during the special sales ad hot deals madness? Front loading or top loading? Although top loaders are considered to be more durable and do not require you to bend when loading the laundry – front loaders use up to 65 % less energy and a third less water, as their drums are not filled completely during the washing. Sometimes, it might be a space related issue as front loaders are stackable, while for top loader you do need to dedicate space. Go for a speedy spin cycle. The faster the cycle, the dryer the clothes will come out, the less time you will need to spend on drying clothes in the dryer (and that is the most energy consuming appliance unit). Go for at least 900 rpm. Go for the cycles you actually use. In the race for new marketing tricks manufacturers are often caught up in need to create new features – but not all of them are market driven. Some of them for sure sound nice in the sales pitch of a salesman in the showroom – but are you really going to use them? A refrigerator is the unit that will use most energy compared to other appliances – indeed, it runs around the clock. Now you will be offered 2 options – with a freezer at the bottom, and vertically split. The option with bottom freezer is more energy efficient. The interior of the fridge can be easily optimized if the manufacturer provides enough flexibility in shelving/bins solutions. Whether it offers electrical or manual adjustment mechanism – it does not matter much – the layout is the key. It will eliminate all the nasty spills and will help you keep all the products in sight. The material the fixtures are made of is also important – flimsy, easy to crack plastic shelves will have a risk of failing fairly fast. As with other appliances, the fridge size should reflect the need in actual storage. Often, customers go for a bigger model, once they realize that the current fridge, although still working cannot accommodate all of their weekly food supplies. Your fridge will serve you longer if you keep it evenly stocked throughout the week. The reality is, however, it often is overstocked on the grocery shopping day and gets empty in a few days – adding extra pressure on the condenser. Unless the fridge is a built-in you need to think about the practical finish. Until recently, the industry did not leave us much choice when appliances had to be all stainless. It looked great on the promotional materials, but in reality – showing every single print on its surface. From now and then the manufacturers were trying to throw in a bit of a color splash here and there. But indeed, since you buy a fridge for the next 15 years – it will probably outlive some of the trends. As kitchen design becomes more sophisticated – there are much more stove options available now. First of all, it might be not a free-standing stove, but a built-in stovetop paired with an oven mounted higher for an easier access – you do not have to bend to reach food in your oven anymore. There are also options with dual oven compartments. A sophisticated chef or seasoned kitchen designer can now get pretty much anything they wish. Convection option, certainly, is a great option it helps to cook through faster (by about 25%) and more evenly by keeping a steady supply of hot air around the cooking food. Another gourmet option to a classic electric stove – an induction stovetop. It uses electricity as well but the heating element is a part of the cooktop and it also uses the principle of magnetism for the heating process. The great thing about it that your cooking times are substantially reduced. You might need to replace your cookware with induction capable (containing iron). Now hardly ever anyone will go for electric coil stoves, when glass and ceramic tops are available. At a higher price point, but you get that sleek modern look, plus they are really easy to clean (if you look after spills right away). It is a really great feature, that helps you to keep your food warm, after it is cooked and before it gets on the table. Once again, evaluate realistically how much dirty dishes you are going through the day. One or 2 loads? The rack layout is important – think of the number of sets you will be able to wash. And it also helps if the racks have adjustable components, so that you can change the layout if needed. The standard size for dishwashers are 24 inches wide, 24 inches deep and 35 inches high – that fits all the modern kitchen layouts. But if you are replacing an older model – you might have some problems as they were slightly bigger. You can never underestimate proper dishwasher placement spot in the kitchen, First of all you have to be able to open the door freely, so it has to have enough clearance at the front and on the sides. You also have to keep in mind the triangle sink- dishwasher- plate cabinet. We hope we have taken the stress out of your appliances shopping. Buying appliances that are right for your lifestyle will certainly help them serve you better. But if any of your new appliances break, or simply need maintenance – do not hesitate to give us a call.